Police forms a direct link between the citizens and the justice delivery mechanism. They are identified to be the visible and accessible agents of the government. Sadly though, governments today are failing in their primary duty to provide the public with an honest, efficient and effective police service that ensures rule of law and an environment of safety and security. India’s police are governed by archaic and colonial police laws dating back to 1861. The Indian Constitution puts police under the state list, empowering the state governments to provide their communities with a police service. However, most state governments have a police law that adopts or reflects the basic ideas of the 1861 legislation. Further slurring the line between the executive and police establishment has led to bias in posting and transfers thus diminishing the accountability of the police system. Various committees like the Riberio, Padmananbhaiah and Soli Sorabjee have given their recommendations which have been futile. FDR has strongly voiced its concern for reforms in this segment. 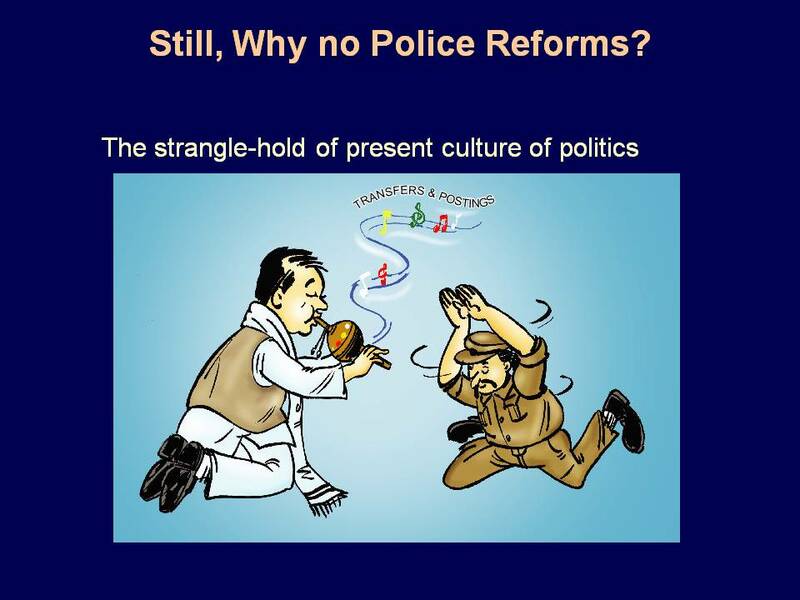 It has organized extensive campaigns for police reforms seeking autonomous investigations free from political influence. It advocated the idea of bringing police forces under the purview of the local government jurisdiction. It also proposed the idea of community policing as a tool to combat terrorism and eve-teasing. In the year 2006, in the case of Prakash Singh v. Union of India &Ors., the Hon’ble Supreme Court of India issued directions to all state governments. FDR strongly campaigns to ensure the effective implementation of the Supreme Court guidelines in letter and spirit. 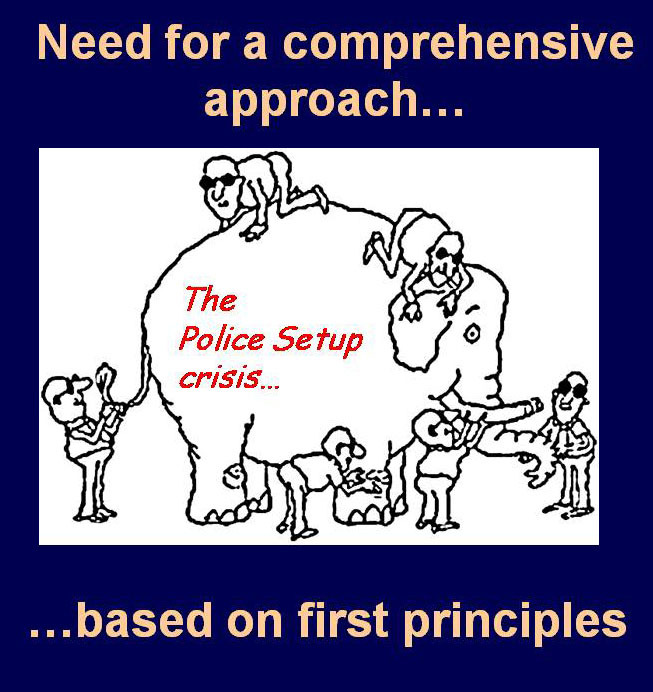 The relationship between police and public needs to be redrawn. The flimsy democratic umbrella providing a tenuous cover for engagement between police and the public urgently needs reconstruction. Fierce competition in the recruitment of All-India services and central services ensures that very bright, competent, young people join these services. However, there is a wide spread feeling that the people are not getting clean and efficient administration, and delivery of services is tardy and ineffective most often. Many expert committees including the Second Administrative Reforms Commission have examined this issue and given recommendations.